Watch Cartoons Online for Free: Ever since the first cartoons broke through into the public consciousness sometime in the early 1900’s with its B&W, stop-motion animation, (the first successful animated cartoon was Gertie the Dinosaur from 1914), they have developed a place in the entertainment industry. Most big-budget production houses also dabble in producing cartoons for every age-group, from Tom and Jerry by Hanna-Barbera to Watchmen and the Justice League animated cartoons by DC. Most of these are paid, however, and may be pretty expensive to watch. So, we have compiled a list of the 10 best sites to watch cartoons online for free. 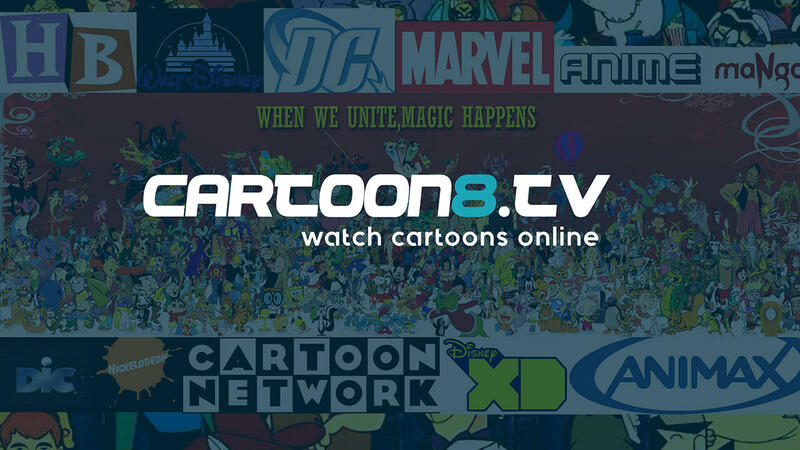 While you can also watch a lot of cartoons on many different sites, we decided to provide you only the free ones, the ones which provide faster streaming services, and certainly the ones which provide a wide variety of cartoons as well. Besides, these cartoon sites should have a wide variety of video resolutions that can be manually reconfigured. With these points in mind, let us go forward to the best cartoon sites list. As we have said before, we have taken into consideration only those sites which offer cartoons for free. Note that this list is not exhaustive and will be updated constantly. Also, remember that this list is not arranged in any order of preference. Cartoons On (Editors’ Choice): Cartoons on is the first site on our list. Included is a lot of genres and types of cartoons which will entertain both you and your family. It is used free on all devices that you use, including phones, tablets, iPads, and laptops. This site provides direct streaming links to most cartoon shows. What we liked the best about this site is the fact that it does not have any annoying advertisements and pop-ups, asking you to subscribe. Cartoons by various internationally renowned studios like Walt Disney and Warner Bros. are supported, as are marquee shows like Tom and Jerry and Family Guy. Pro Tip: Use the handy search bar to look up your favorite cartoons. Watch here. 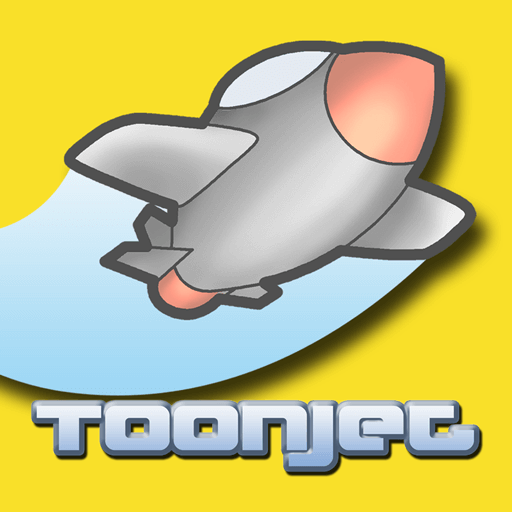 ToonJet: ToonJet is a very popular site for watching free cartoons online and has something for everyone. It also brings back the fan-favorites like Looney Tunes with the likes of Porky Pig, Bugs Bunny, and Daffy Duck. It also has a unique feature: you do not need to sign up to watch these cartoons. Constantly updated database. Pro Tip: Sign up anyway; additional features like customized profile page will be unlocked. Watch here. 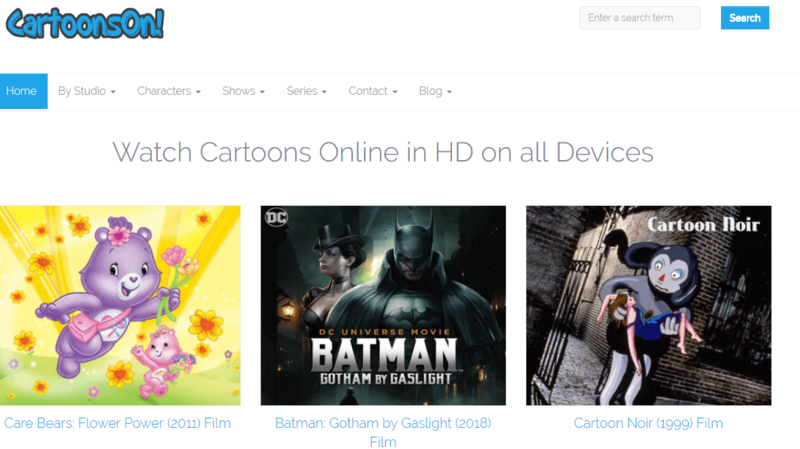 KissCartoon (Fan Favorite): KissCartoon is, by far, the best cartoon provider on this list. It has an immense list of cartoons in its repository. From such ‘adult’ cartoons like American Dad to such popular Korean cartoons like LastMan, this site has it all. 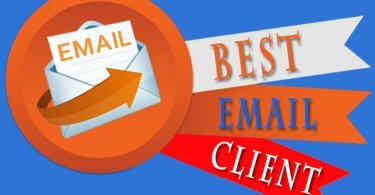 Best of all, it is free, although you do have to register for free. It also has the latest cartoons uploaded within hours of their release. The cartoons are arranged sequentially, as in seasons and then episodes. Best of all, it is DDoS protected. In short, it provides a good opportunity to watch cartoons online for free of cost. Pro Tip: Do not click on any pop-ups; otherwise the site is totally safe. Watch here. Disney Junior (Best Children’s Cartoon Site): One of the best sites to watch cartoons for kids, the Disney Junior channel is ideal for exposing your tiny tots to the fascinating world of cartoons. Note that this site does not have a presence in many Asian countries, especially in India. In order to watch this in India, you will need a VPN service. Choose one from our list of best VPN services. 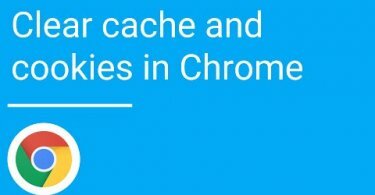 Pro Tip: Highly recommended due to lack of any pop-ups. Watch here. Like games? Check out the best Skyrim mods right here. Nick Toons: As the name suggests, this is the web-based version of the Nickelodeon channel and is loaded with a lot of great cartoons. Onboard are Nick favorites like SpongeBob SquarePants, Jimmy Neutron, and Avatar. It also has a sizeable amount of anime content and is ideal for viewing on widescreen LED TVs as it has 1080p cartoons available as default. Pro Tip: Give the Anime content section a miss as it contains lots of adverts. Watch here. 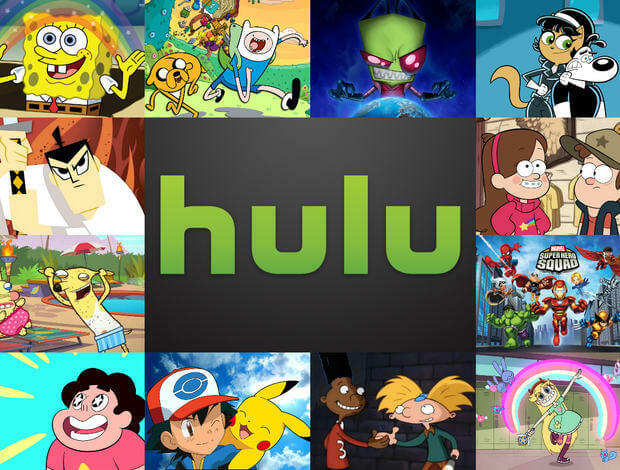 Hulu Animation and Cartoons (Best paid online cartoon service): Hulu is one of the world’s biggest subscription video on demand service and also offers cartoons and animes- of all genres including some new and original ones. Note that this is not a free service and requires an amount to be paid. One month will be free of cost while the charges will be billed from the next month onwards. Excellent paid services. It deserves to be added to this list of best sites to watch cartoons online for sure. Pro Tip: Make a list of all the shows you want to subscribe to in the first trial month and then choose the lowest-priced plan. Watch here. Cartoon8: This relatively unknown site is the best one as far as watching the latest cartoons of all genres is concerned. It has such a vast library that you will end up spellbound. Whenever you swipe over a cartoon that is on the list, a floating window appears showing all the associated details, including the release date, synopsis, and runtime. Various marked sections help you navigate easily. Pro Tip: Look for the “latest updates” section for all the latest entries. Watch it here. 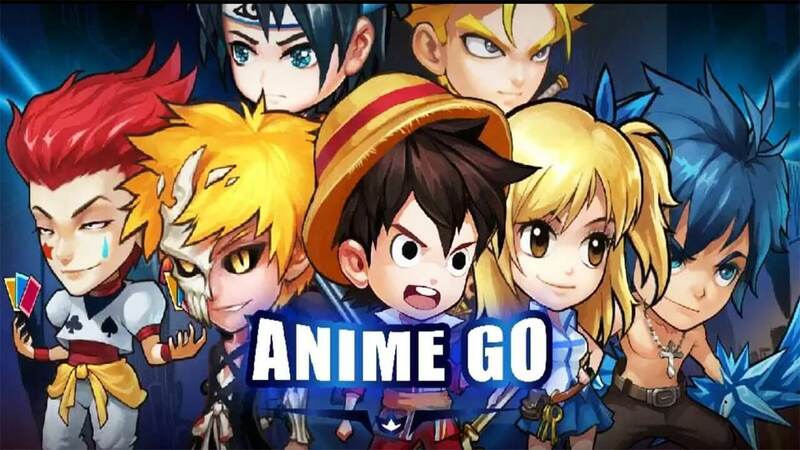 GO GO Anime: Although the name includes the word anime, it is nevertheless one hell of a site for watching cartoons too. GO GO Anime is available for watching from all over the world and is hence a must-have. Besides, you will not need any VPN service, thereby avoiding all technical difficulties to watch cartoons online. Pro Tip: The Ideal site for watching dubbed animes. Watch here. Honorable Mention: Youtube: While many people know Youtube to be the go-to site for watching almost anything and everything, it is also a very good site for watching cartoons online for free. There is nothing the reader does not know about this site; you can also choose to watch paid content. Watch here. We hope that you will thoroughly enjoy this list to watch cartoons online for free. For the more discerning viewer, we have also incorporated a paid site. This list will be updated continuously, so do keep us bookmarked. And happy viewing!